Set in the locker room of a central Florida high school, Dry Land is a haunting new play about female friendship and abortion. Written when Spiegel was just 21 years old and still an undergraduate at Yale, it’s a deeply truthful portrait of the fears, hopes and bonds of teenage girls — as gut-wrenching as it is funny. 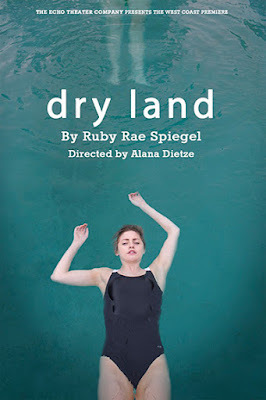 The Echo Theater Company presents the West Coast premiere of Dry Land, the riveting play by newcomer Ruby Rae Spiegel. Alana Dietze (A Small Fire) directs Connor Kelly-Eiding, Teagan Rose, Daniel Hagen, Ben Horwitz and Jenny Soo for an April 9 opening at the Echo’s home base, Atwater Village Theatre.